The notebook market is becoming a very blurred environment, with touchscreen options and detachable keyboards crossing over with the tablet market on a frequent basis. 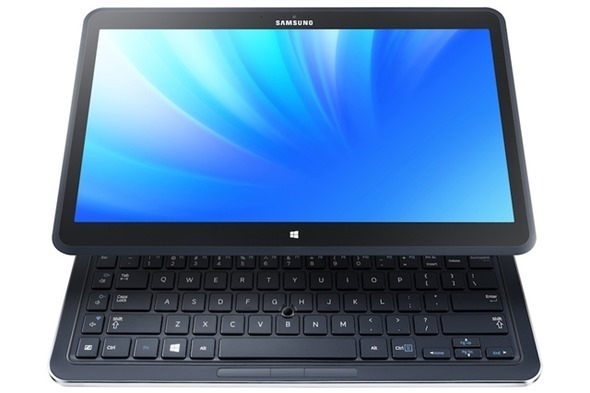 These tablet-notebook devices are often referred to as hybrids, but Samsung has come through with an alternative kind of concoction by announcing a convertible that can dual boot Windows 8 and Android 4.2.2. Moreover, the ATIV Q packs in a fantastically sharp 3200×1800 13.3-inch display, and with an S Pen Stylus also a part of a device just 0.55 inches thick, this might just be the all-in-one you’ve been holding out for. Samsung is always seeking to forge new markets, as demonstrated with the Galaxy NX camera, which combines some features of your typical DSLR allied to the familiar Android interface. The ATIV Q arrives with a similar intention in mind; to allow consumers the best of both worlds in one nicely crafted device. One of the immediately striking features of the ATIV Q is its 13.3-inch display packing in super high-resolution of 3200×1800. For pixel density, it’s up there with the sharpest of them, and whether you’re running the touch-ready Windows 8 or Jelly Bean 4.2.2, you’re unlikely to notice anything spoiling a very crisp, uber smooth experience. As for weight, it’s only 2.84 lbs., and considering, as aforementioned, it’s only 0.55 inches thick, you don’t have to forgo sleekness for a solid performance. Detailed technical specifications are, as yet, unknown, but one suspects there’ll be an Intel i5 processor therein, with the option of an upgradable i7 for those willing to pay, and it is of the Haswell variety. 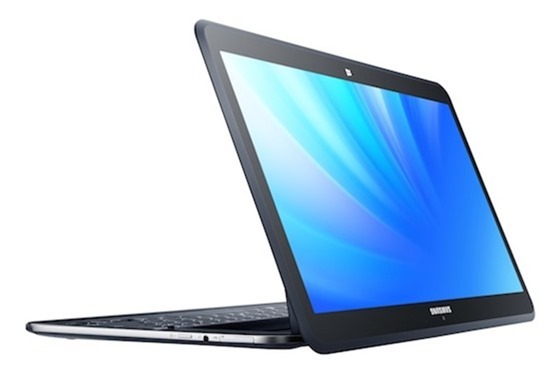 If you’re seriously considering the ATIV Q, we’ll be keeping a lookout for more information. The battery life is amazing, going all the way up to 9 hours on standard usage, something which is to be expected when running on Intel’s next-gen processor. It comes with 4GB of RAM, 128GB SSD, USB 3.0 and USB 2.0 ports, micro HDMI and an SD card slot for good measure. It would appear as though Windows 8 houses a virtual Android experience, with a specialized app pinned to the Start Screen. The device itself also has a smart hinge which allows the screen to be angled any which way, and on the face of it, the Ativ Q looks a pretty solid overall notebook. The specs, as well of the extent of this Android support, will indeed be key factors, but on first impressions, Samsung looks to have created something that is more than worth the consideration of consumers.